Hello there! 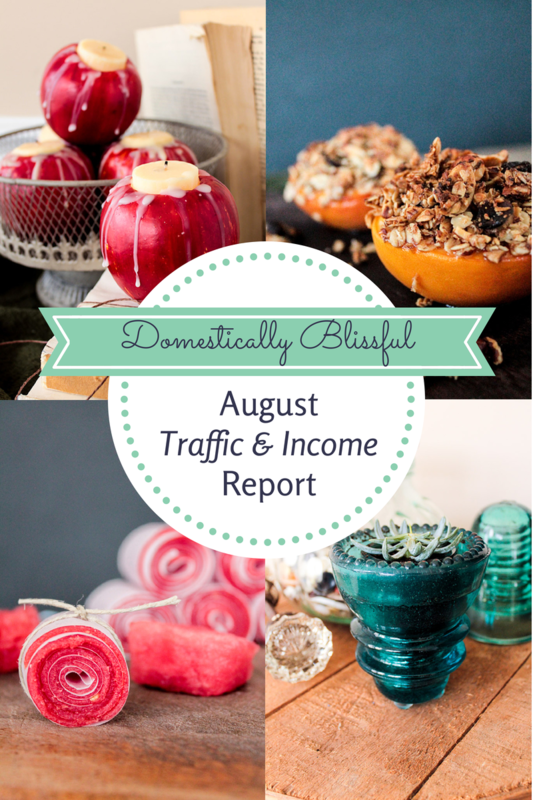 This is Domestically Blissful’s first Traffic and Income Report! I thought it would be fitting to start this in the fall since there are so many firsts that happen this time of year – first day of school, first day of fall, and of course the first anniversary for Domestically Blissful! But before I get into August’s Traffic Report I must give you some advice that I really wish I had known when I first started blogging. 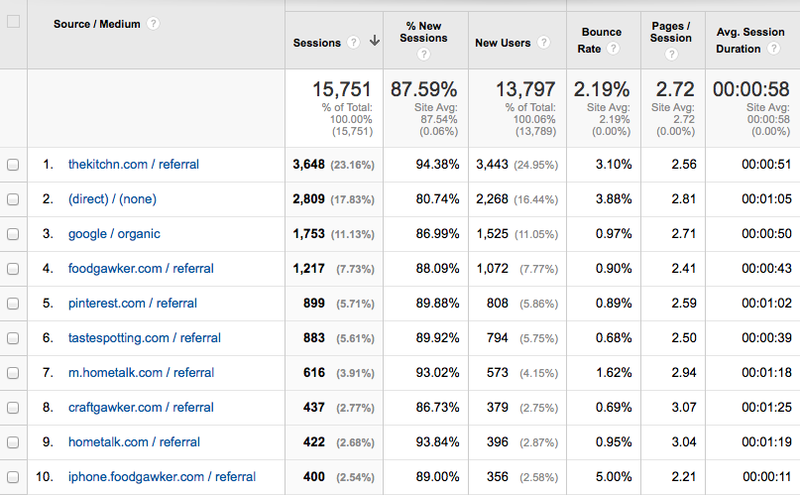 Get Google Analytics! For some reason I didn’t have this and I just assumed my views were whatever WordPress’s Jetpack said they were and boy are they not accurate! So unfortunately I have no idea what my views were for at least the first 7-8 months of blogging… The good news is that I immediately began to see the difference in page view count when I started using Google Analytics, plus there is so much more statistics that Google Analytics acquires for you – it truly is wonderful! From this little snapshot you can see that Domestically Blissful acquired 42,386 page views in August, that each visitor went to approximately 2.72 pages, and that their average session lasted approximately 58 seconds. Roger thinks that I should have the goal of adding 5,000 more views a month. Meaning in September, with one day less in the calendar, I should aim/hope/cross my fingers and do a rain dance for 47,386 page views. Here are the top pages that received views in August. Number 4 with the “/” means my homepage and yes 1 & 2 – the Watermelon Fruit Leather – are the same post. The Fresh Apple Cinnamon Scones are from last fall. I am so excited about going into Domestically Blissful’s second year of blogging in fall because now all my posts from last fall are going to start coming around again – hopefully! I thought I would also add a little snapshot from Pinterest analytics. If you haven’t set up your blog’s Pinterest Analytics I would definitely recommend that you do! I love being able to see what people are most interested in from my blog – it’s like a little guide to what I should do in the future! 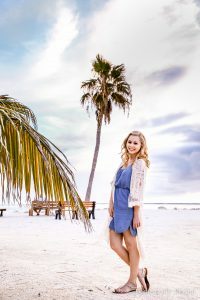 The first year of Domestically Blissful was focused on learning the ins and outs of blogging – learn more about blogging here – and growing the traffic, with less time spent on trying to monetize my blog. This second year of Domestically Blissful I am going to continue the initial two and I am going to also try to step up the latter. Although I hope to continue Domestically Blissful for life I know that if DB isn’t at least making half of minimum wage by the time we have our first child – hopefully about 2 1/2 years – I have agreed to give her up. Sad, but true. We calculated that if I am spending at least 8 hours a day 6 days a week working on DB I am working approximately 192 hours a month. The goal is to make at least $1000 a month which comes out to about $5.20 an hour for how much time I spend on DB. Domestically Blissful is my baby and like any mother I desperately want my baby to grow, thrive, and be successful. So I just want to say thank you to all of you who have contributed to the wonderful growth of Domestically Blissful over her first year! You are seriously the best blog readers ever! Ok, now after that little side note I hope you aren’t expecting too much for this first income report. It can be a bit depressing how much income my blog generates in comparison to how much time I put into blogging, but that’s ok because I know it can be a slow process. Hopefully when we meet again next month for this Traffic and Income Report – October 1 – Domestically Blissful will not only have increased her traffic but maybe even have made a little bit more income!